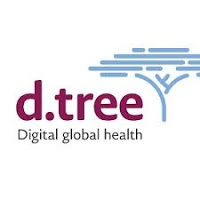 D-tree International is a digital health organization with 15 years of experience using innovations in technology to strengthen the quality of health systems in low and middle income countries. D-tree works through partnerships with Ministries of Health and NGOs to bring human-centered design approaches to collaborations in which we support partners to define key programmatic challenges and priorities, explore if and how technology can be used to improve program efficiency and quality, and then work with our partners to choose the most appropriate technology platform to meet their needs. This may include using or building on existing tools, or configuring new solutions through a variety of software platforms. A key aspect of our work is our end-to-end partnership, in which we also support partners to use systems thinking to roll out, implement and monitor programs and facilitate a culture of data use among multiple stakeholders. D-tree has been working in Zanzibar since 2010 on projects focused on maternal and child health. In close collaboration with the Zanzibar Ministry of Health, D-tree has trained more than 400 Community Health Volunteers (CHVs) who serve more than 80% of the population as part of the Safer Deliveries program. D-tree has scaled up this program in 10/11 districts of Zanzibar to support Community Health Volunteers to utilize digital tools to provide high quality care to pregnant women and encourage facility deliveries and postpartum follow up in order to reduce maternal and neonatal mortality. Building on the success of the Safer Deliveries program, D-tree is now supporting the Ministry of Health to expand and institutionalize the digital platform in Zanzibar. We expect to train and support over 2,000 CHVs throughout Zanzibar. We are seeking a full time Logistics and Administration Assistant, based in Zanzibar, to support the logistics and administrative functions of a small but complex non-profit. This is a dynamic and challenging role requiring an individual with exceptional attention to detail, initiative and interest in supporting the improvement of quality health care for underserved communities. You are professional, motivated, and efficient team player. You are someone who is just as comfortable working independently in an office as you are coordinating logistics for a field-based training or meeting. You are a good communicator with excellent interpersonal skills and you enjoy working in a multi-cultural environment. You excel at multitasking and can move easily between deskwork, running errands, and participating in team meetings. You are a motivated professional who is willing to wear multiple hats and do what it takes to make our office and administration systems function well. You will be an integral member of the expanding D-tree Tanzanian operations team, supporting the Zanzibar Finance and Administrative Officer, Program Coordinators, and Field Implementers. You will be responsible for arranging the Zanzibar program logistics to help ensure smooth program and officer operations. Issue phones and solar chargers during community health volunteer trainings, maintain inventory, and replace broken equipment as needed. Accountability & Reliability - Takes ownership and responsibility for decisions, actions, and results; delivers on commitments. Collaborative - Brings a track record of working effectively with various and diverse individuals and groups, and a willingness to actively listen and invite different views and opinions across all levels of the institution to build alignment in support of a common goal. Only applicants who respond to all questions and include their CV will be considered.